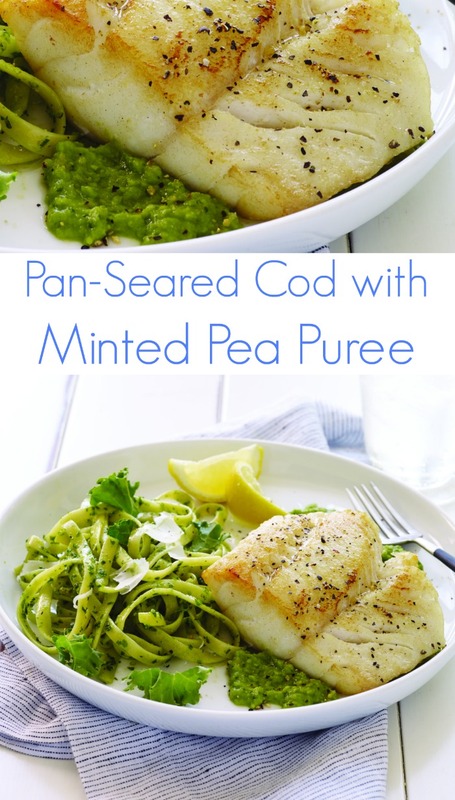 Pan-Seared cod over Minted Pea Puree Recipe is one of those dishes that I always drool over in a restaurant but never really think about making at home. It’s easy and doable enough, however. 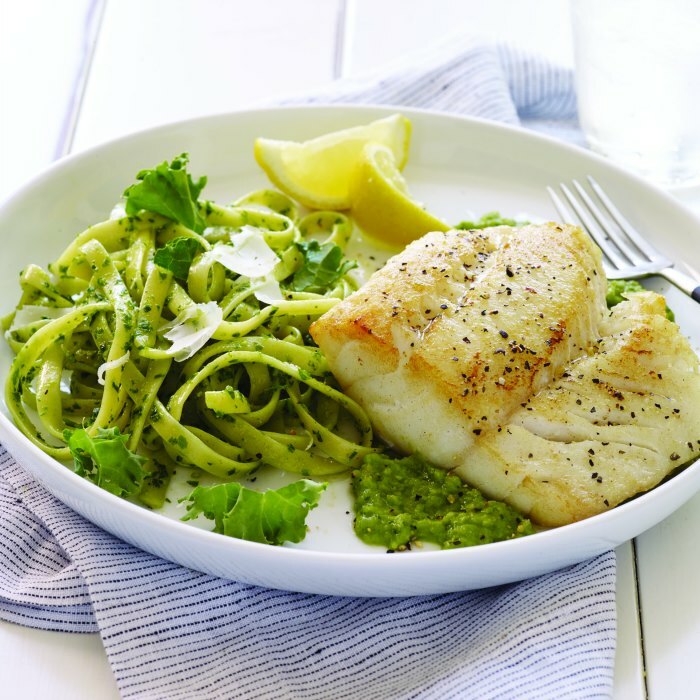 Don’t you think it’s time to serve some restaurant-style dishes at home? 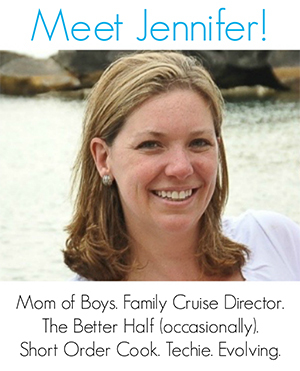 Get more inspiring dinner dishes on Mommy Evolution! 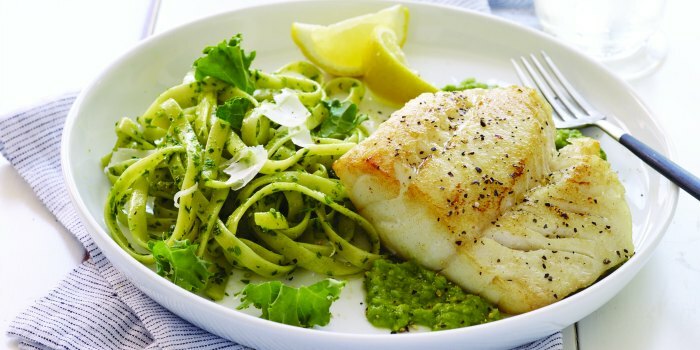 You can find more recipes and nutritional values for your favorite seafood at wildalaskaseafood.com. Beautiful pictures! This looks and sounds absolutely delicious! I need more fish in my life! Jennifer, I made this tonight & it was fantastic!! The kids sadly wouldn’t go for the pea puree, mine wasn’t quite as gorgeous looking as yours in the photos 🙂 But the taste was awesome, and so healthy, thanks for the idea! Yeah! So glad you tried it out and liked it 🙂 Presentation is always tough…. and trust me, when I’m running around putting dinner on the table on a weekday, presentation is about the last thing on my mind!